Size Options 12" x 12" 12" x 13" 13" x 13" 13" x 15" 13" x 16" 15" x 13" 15" x 15" 15" x 16" 15" x 18" 16" x 15" 16" x 16" 16" x 18" 16" x 20" 18" x 15" 18" x 16" 18" x 18" 18" x 20" 18" x 22" 19" x 16" 20" x 16" 20" x 18" 20" x 20" 20" x 22" 22" x 18" 22" x 20" 22" x 22" 24" x 18" 24" x 20"
The Roho Quadtro Select Wheelchair Cushion from IndeMedical.com sets the standard for overall performance in wheelchair seating. Each and every user will benefit from a customized fit through the simple push of a knob. The revolutionary ISOFLO Memory Control offers shape fitting capabilities while the user is seated, allowing quick and easy on-demand adjustment to maximize function. 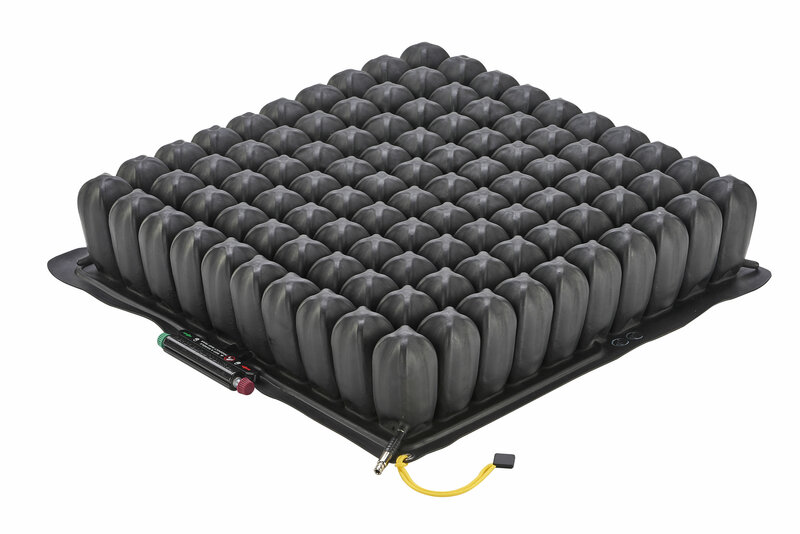 With the built-in stability and simplicity of the QUADTRO SELECT Cushion, no longer will you have to sacrifice maximum skin protection to get stability, positioning or convenience. The QUADTRO SELECT Cushion does it all. 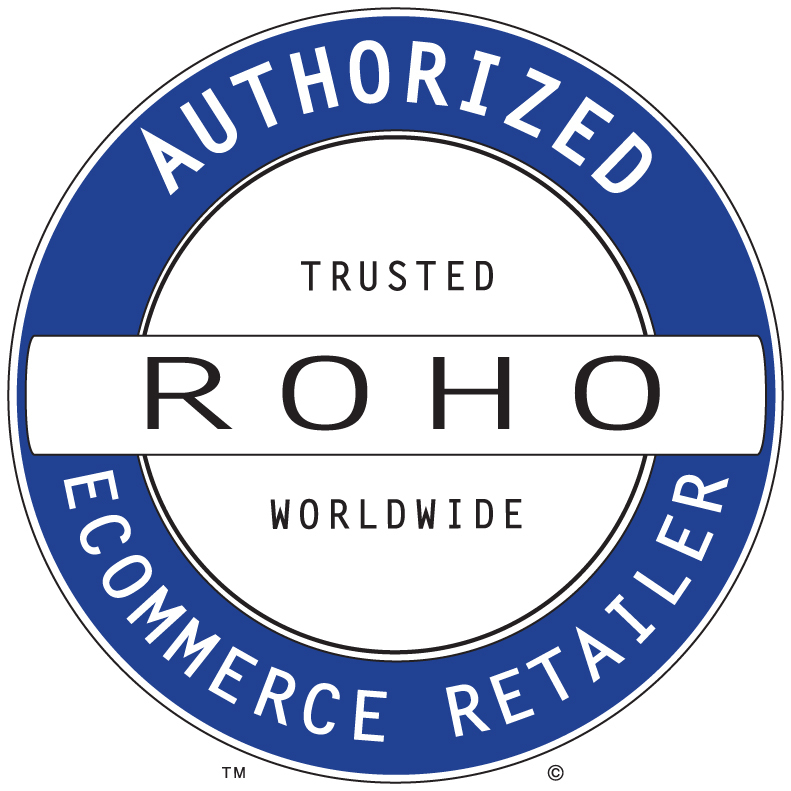 Skin Protection: Based on thirty years of research and client experience, our patented ROHO DRY FLOATATION technology provides unparalleled performance in facilitating blood flow by fitting, matching and tracking the shape of a person. 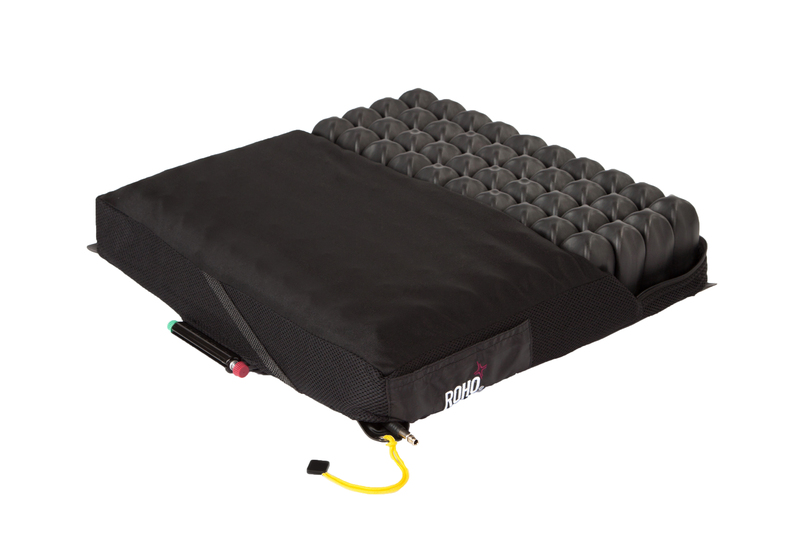 Stability: The QUADTRO SELECT Cushion offers a new level of stability never before found in an air floatation cushion. Stability is enhanced by locking the air into place in each of the four compartments through the simple use of the ISOFLO Memory Control, minimizing side to side or front to back motion. Convenience: All postural adjustments are made while the user is seated, eliminating the need for transfer on and off the chair during the evaluation process. In addition, the QUADTRO SELECT Cushion allows the user to selectively change their position throughout the day as their particular activity demands. Adjustable: Fits specific seating needs and unique body shapes. Sizes: Wide range, to fit chair widths 12" to 24"